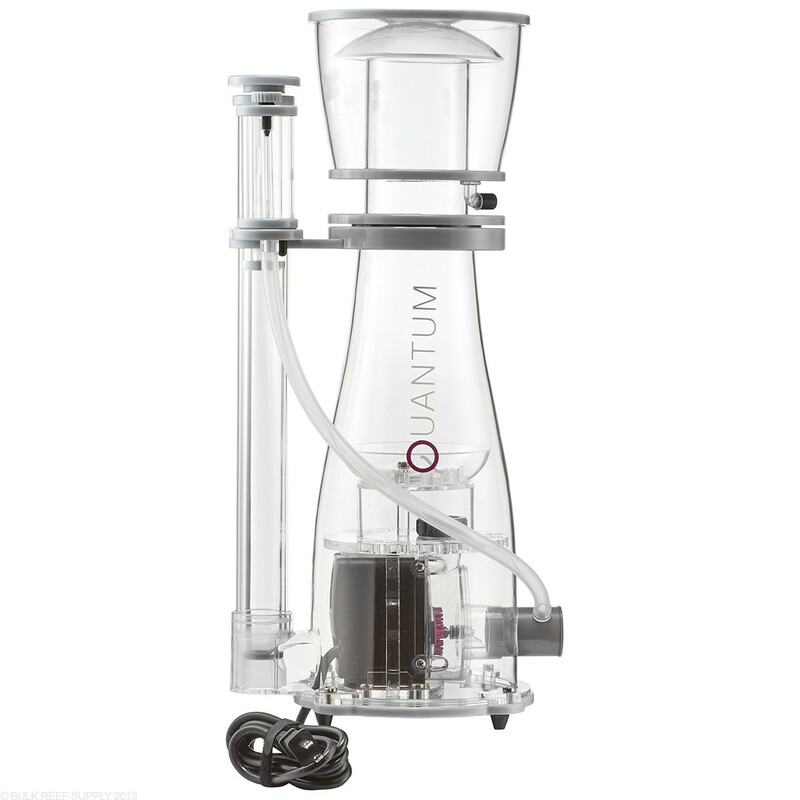 When it comes to protein skimmers, the Nyos Quantum line is not only stylish, it simply just works very well. 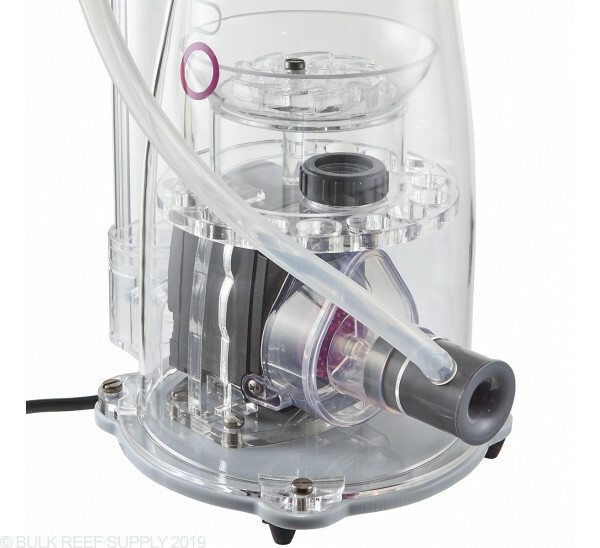 Each skimmer includes a Hybrid Wheel which produces extremely fine micro-bubbles and made with super light materials that reduce the rotating mass keeping the pump energy efficient. 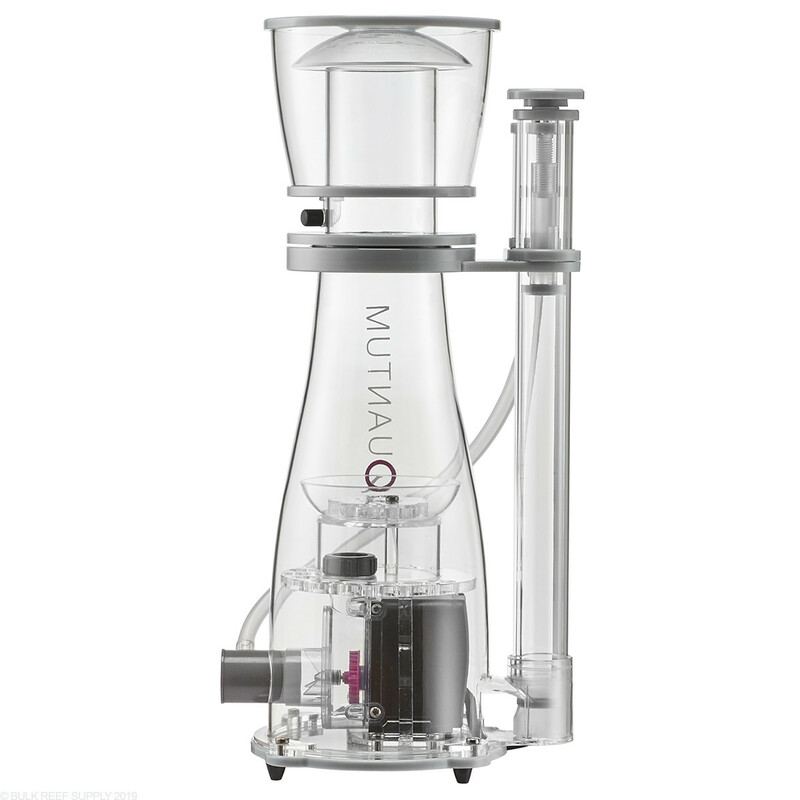 The Hybrid Wheel is housed in Nyos's Clear-View Reactor volute that lets you see the bubbles being created at the source, while also allowing to you identify any foreign objects that may have entered the volute. Once the bubbles exit the Quantum 3.0 pump, the air/water mixture is passed through the Nyos Twister bubble plate which helps increase the contact and dwell time within the body. The Twister gives the bubbles additional spin and swirls them in a vortex which greatly increases the contact time and efficiency of the skimmer. On the way up to the collection cup, bubbles are passes through the body and neck which is free of any sharp edges and will gently focus the bubbles into the collection cup to be removed. 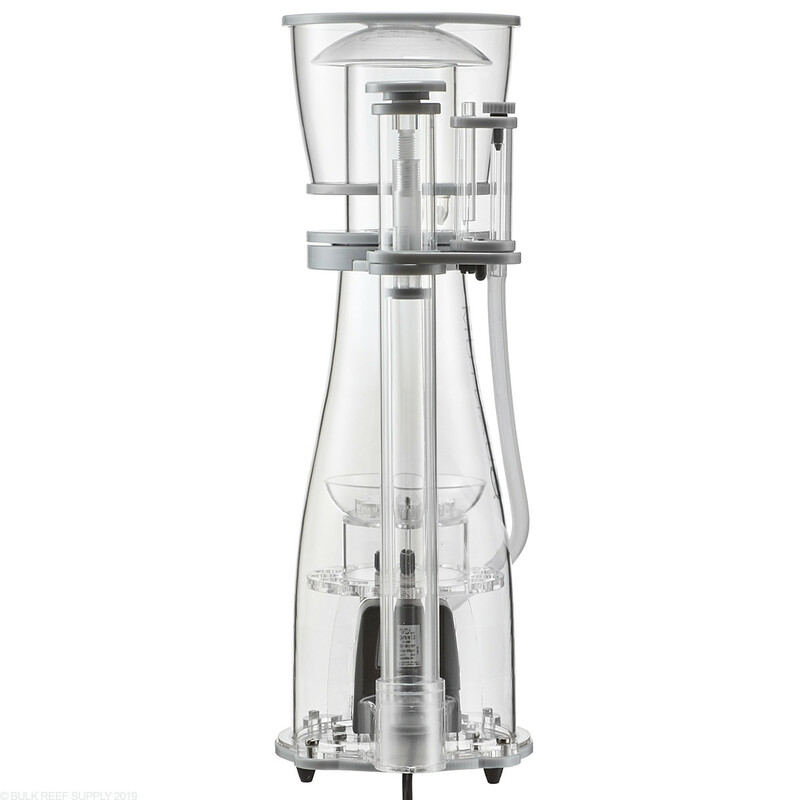 Once the collection cup is full, it can be removed in seconds with the quick twist-lock design, and even better the entire skimmer can be disassembled down to its individual components for deep cleaning and maintenance. Every Nyos Quantum skimmer includes individual water and air quantity adjustments that let you fine-tune the skimmer for your reef system. 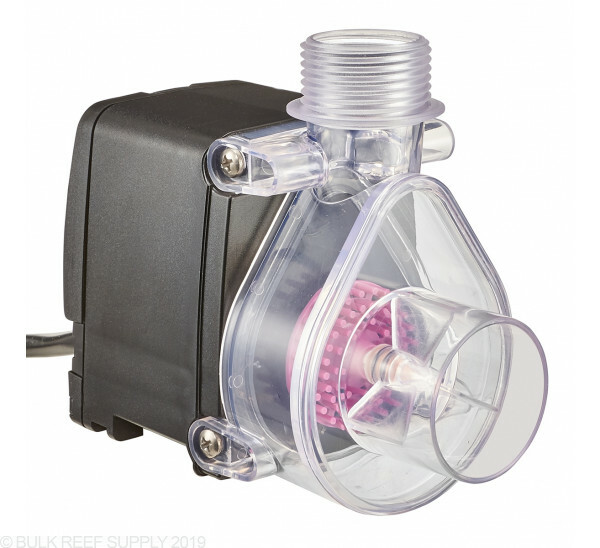 Depending on your skimmers submersion depth, bioload, and many other factors, being able to control how much air and water is being pulled into the skimmer can yield much greater results. Footprint - 7.1" x 9.8"
This skimmer is a beast it pulls thick black skimmate out of my tank. Skimmer is dead silent which is a huge deal for me. I have had this skimmer for 5 months now, (I didn't buy it from BRS as they didn't carry NYOS at the time) and i have to say it's my favorite skimmer to date. I have had skimz, reef octopus and SWC prior. All skimmers do the same thing, they skim. Most skim well, but the looks and the reliable pump put this skimmer on top. 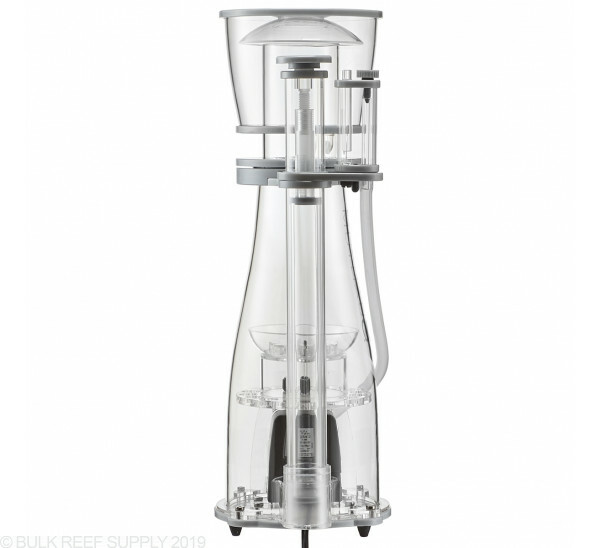 The use of titanium screws is also great, as the the screws on a skimz monster pump have rusted on me. I have it running on a 120 gal, stocked with a high bio load of fish, minimum rock, and i feed 6-8 cubes a day. Great skimmer. Easy setup, whisper quiet and build quality is flawless. I don’t even know it’s running it’s so quiet. Running on a well stocked 160 and it’s killing it. I would even say you could go all the way to a 250 well stocked and it would be fine. Easy to remove and clean skimmer cup. The slight curve makes it so easy to clean. Highly recommend this skimmer. 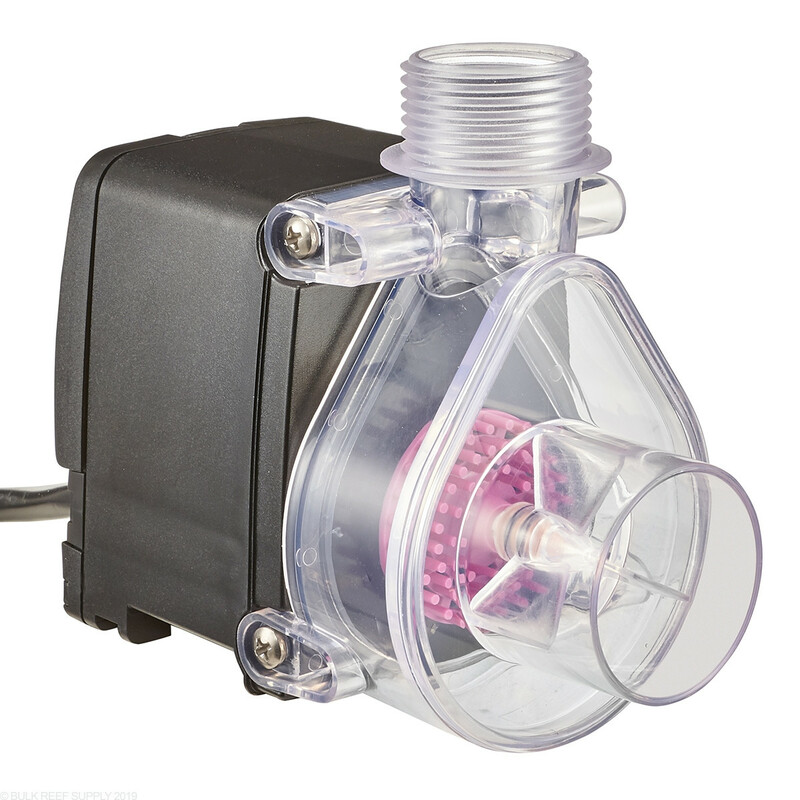 I love this skimmer works fabulous. Super quiet, great quality. Did have a issue with one piece they ended up sending me out a new skimmer to replace mine for the trouble. I'm going to get another one when I set up my next tank this year. 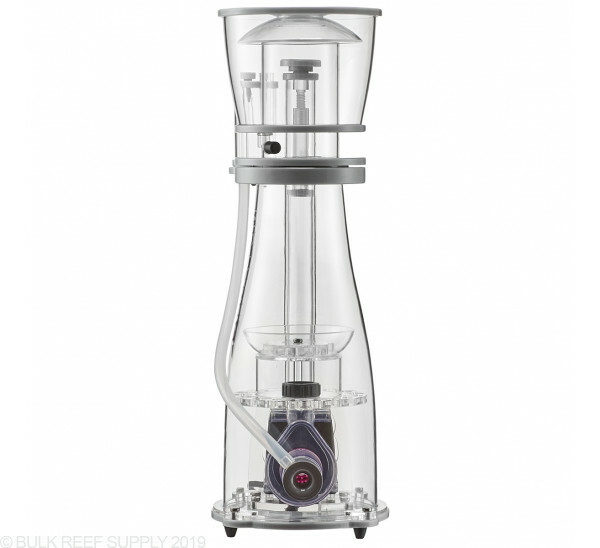 Awesome skimmer, you can run heavily stocked 175 reef with no issues. 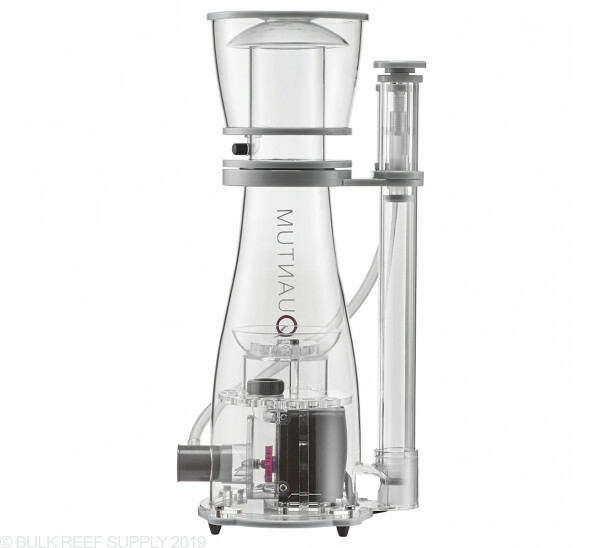 Absolutely quiet, easy to set up and keep running. Highly recommended.